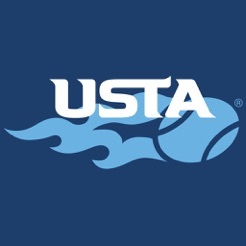 Experience USTA League and Tournaments on the go and stay in touch with your game from anywhere at any time! 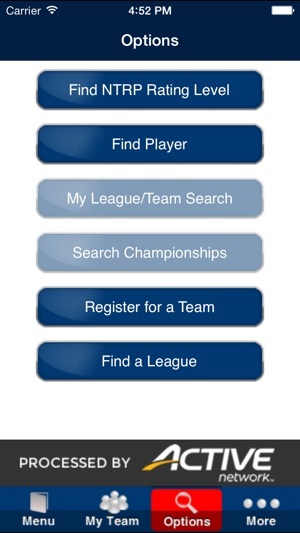 New features including Register for a League and Tournament help you get in the game more easily. 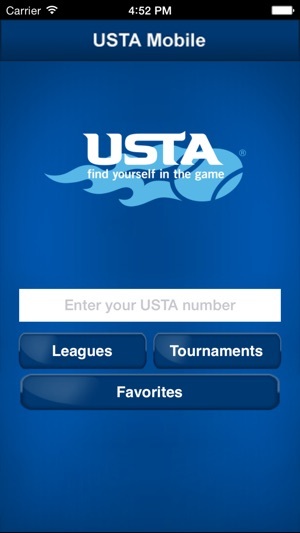 At the office, home, grocery store, anywhere – The USTA App makes it easier to get in the game! 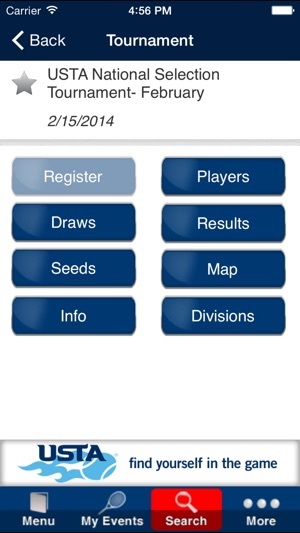 This app is great for league play. It’s much easier than using the website to check your rosters, schedules, standings, and to enter scores. Since the most recent update, the only complaint I have is that when viewing the scores you have to scroll down and hold it there with your finger. It used to have room to scroll and stay there. Now you can look at Court 3 results, but since the page won’t stay there you cannot click on any of the players on that court if you wish to view their stats. 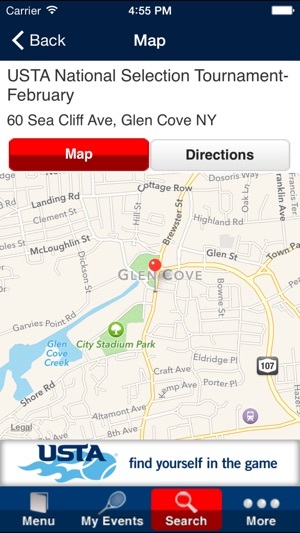 Completely unintuitive and horribly difficult to navigate. If I want to see any of my own stats and data, I need to either save myself as a favorite player or click on myself through a team roster. If I sign up for a tournament and want to see how many players are in my event before draws are posted, I shouldn’t have to go to the full site. If I see a player I’ll be facing in a tournament, I should be able to see their USTA rating, tournament results, and league stats all just by clicking on the player - like you can when you start from the league page. App is as bad as the mobile website. Why must I turn the app sideways to see the results? Give me the full website and let me decide how to use it. EVEN WORSE - it has the same web page bug so if you go to "Find a Ranking" and enter a player's name in the second box area and then after you search for the player and then click on "View Draw" it pulls up a page that won't give you the info. If you look at the URL on the iOS app you can see it adds about 6 or 7 characters to the end of the URL. Reported this 18 months ago but they evidently just don't care.